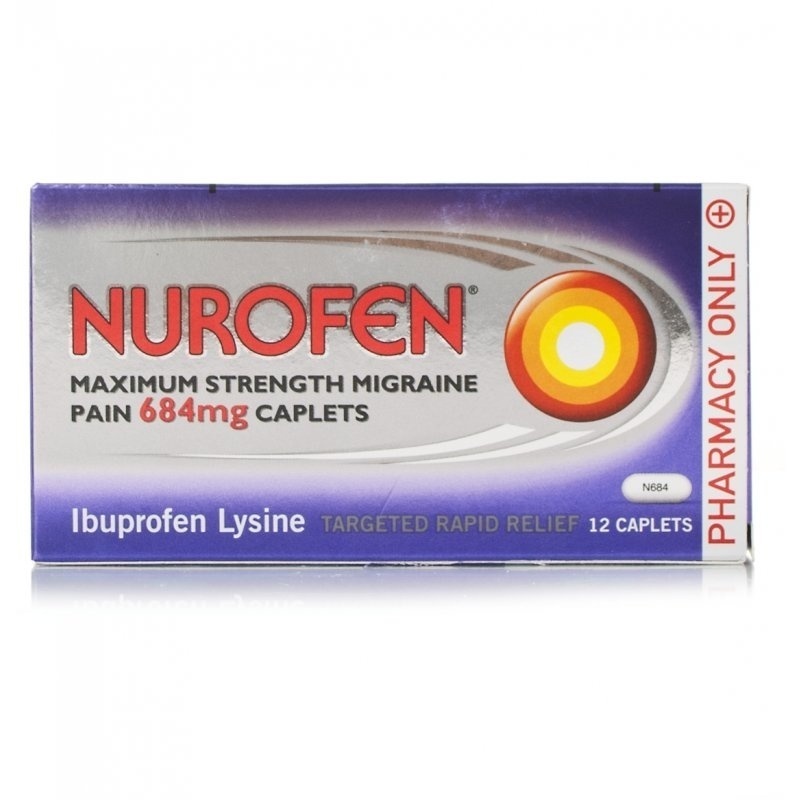 Migraine sufferers know that it is important to act fast at the first sign of an attack That’s why Nurofen have provided Max Strength Migraine Pain, full strength, rapid and effective relief from migraine and headache pain in a single caplet. They contain a form of ibuprofen which breaks down easily in the body, making it easier to absorb into the bloodstream and so gets to work quickly. Each caplet contains 684mg Ibuprofen Lysine. Suitable for Adults, the elderly and children over 12. Do not use for longer than 10 days.